Though it's possible to bring spiritual deserts on yourself by refusing to deal with sin or never spending time with the Lord, sometimes deserts are God's plan. Remember Jesus was led into the desert by the Spirit and He came out in the Power of the Spirit. If you're frightened of barren non-feeling times and they become an enemy to you...you'll never walk in the Power of the Spirit of God. What are God's purposes for you while in the Desert? To free you from the idolatry of feelings. 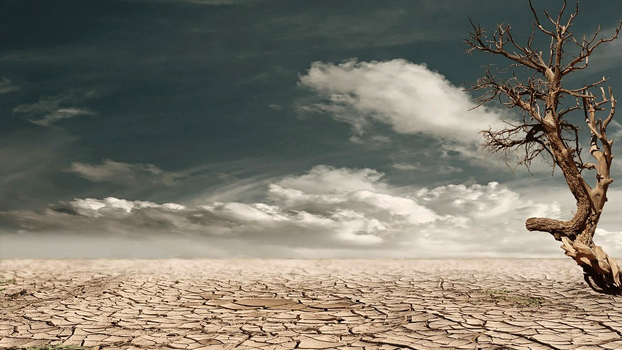 To keep us from being "over watered" spiritually, because that will eventually destroy us. To help us grow in love with Him rather than in love with feelings of Him. To force your spiritual root structure to go deeper. To separate religious feelings from religious reality. To bring you to a place of spiritual maturity and stability which will allow you to be strong even during difficult times. What do you do while you are in the Desert? Focus on God's character, not on your own lack of feelings. Take some "Me & God" time. Always seek relationship above experience. Don't make your goal getting out of the desert...your goal needs to be growing through the desert. Be careful not to confuse "feelings" with "relationship," they have very little to do with each other. If you don't get that, you'll be frustrated, angry, guilt ridden...and you'll never be a force for hell to reckon with.